How to sustain love in tough economic times? Are there economic advantages to being married? 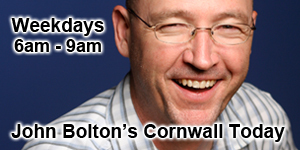 John Bolton is the popular morning talk show host for Cornwell, Ontario on weekdays from 6am-9am. Check out his comments, archives, and audio clips to hear his wit and the terrific guest he converses with on the show.